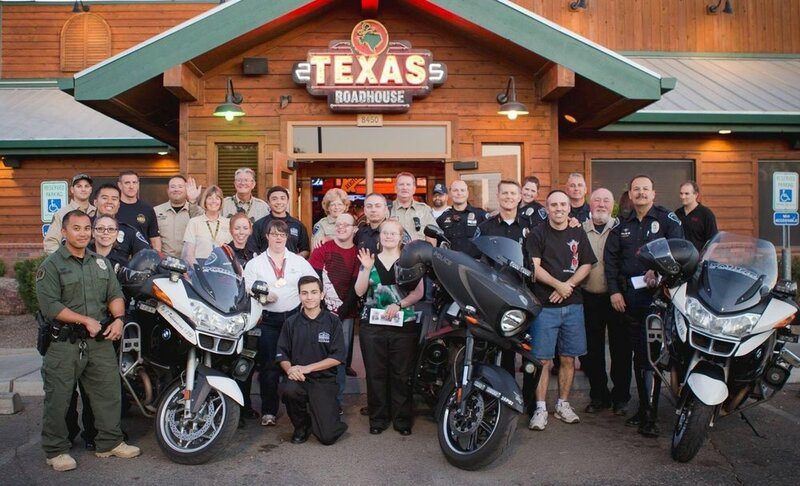 Last year volunteers from nearly every portion of the MPD came out to serve the packed house at Texas Roadhouse. They collected over $5,000 in tips and every dime benefitted the Arizona Special Olympics. The MPD has been involved with Special Olympics for over a decade and has raised over $100,000 for Southern Arizona Special Olympians. They had 32 volunteers on hand from the MPD including lieutenants, captains and Chief Terry Rozema. They had volunteers from the bomb squad, K9 and motor patrol, as well as the youth Explorers program and the volunteer VIP’s.